[Why?] | Malmaxa. Another View, of True ©. Malmaxa is my world, literally. And this blog is part of my literal world. Within it I make the rules, and I change them as I see fit. Though I am unlikely to censor any comments, if they attempt to direct readers to commercial, political, or religious sites they will be deleted. Spam has no place here, and to that end I employ several strict spam filters. If your comment contains even a single URL, it will be moderated. Though this is a blog, and traditionally blogs go unedited, to be recorded for posterity with errors intact, as an author I refuse to be bound by such foolish precedent. If I find an error in spelling or grammar, a sentence I don’t like, or I simply choose to change a post in any way, then I will. However, such changes apply only to my own words. I won’t change the posts of others unless they contain foul language, in which case I will likely delete them. At first glance Malmaxa is an overtly familiar fantasy. 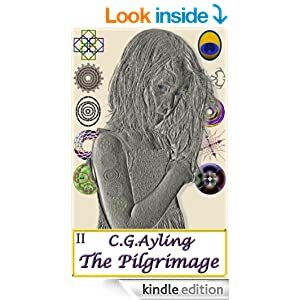 It should be a comfortable and satisfying read for any reader who enjoys complex, detail oriented Fantasy. However Malmaxa is not Fantasy in any traditional sense, it is philosophy couched as though it were Fantasy. For those seeking deeper meaning, you will find Malmaxa to be multi layered and filled with metaphor that awaits your discovery. Malmaxa portrays a world at once familiar, yet at the same time substantially different from the Fantasy norm. What are those differences? Well a true test of the story’s quality might be that you never notice them till later reflection, when you suddenly realize many of the standard elements in Epic Fantasy are not only entirely absent but that you never noticed missed them. Is Malmaxa a perfect place, sparsely populated with imperfect people? Is it a blissful culture inhabiting an utterly alien and hostile world? Is it ancient, or advanced? Is it about people, or place? Perhaps Malmaxa is all of these things, or none of them. 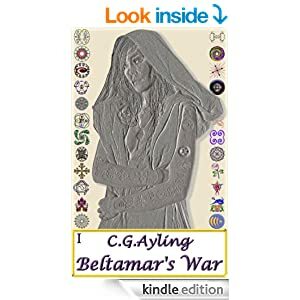 Start reading the first novel in the series, Beltamar’s War, now and discover Malmaxa today. We’re delighted to invite you to an exciting new online resource for journalists and bloggers called one:convo. We have seen your work and love what you do. The concept is simple: one:convo is the totally free online news source where you can write, discover and share international articles as it happens. Articles are given more prominence based on the views and comments they attract. Your content on one:convo will rise to the top of website based on their popularity. As a central source for the public to find news and commentary, your work will be exposed to a much wider audience. Successful blogger’s names will get noticed by the world! Also, you can increase traffic to your blog by linking to your articles. http://www.oneconvo.com is ready for you to add your articles today! p.s. there are many new features on the way!